I know that there is no system of PK tokens, and there is a clear difference between free and open PK. But I also know there are some things that don't merit PK at all, and I'm wondering about a particular scenario that's been happening more frequently over the past month or two. Player A sneaks into an enemy city, tries to PK someone for a valid reason, and gets attacked by three other players in response. Player A then waits until these other players are by themselves, and attacks them, claiming s/he was attacked first, so it's valid. Does this hold when the other players were just defending their own city to begin with? There are a couple of posts from @Jeremy Saunders (in 2017, mind you) that says no - if Player A comes into the city, they are raiding (whether a formal raid or not) and cannot go after the defenders after the fact. Sounds pretty typical of Player A though. Thanks for the info, Arce! I'll have to go trawling through and see if I can dig those up. I love reading the old forum posts and seeing the game has developed, and with Imperian there is so much to get through. Somewhat (entirely) off-topically, if anyone knows where I could look to find logs/recounts of the major Imperian events, I'd be grateful. The event posts in-game are nice, but they don't tell me nearly enough to sate my curiosity! So to put it in simple terms. You have persons A, B, C, and D.
A is from Kinsarmar. B, C, are from Ithaqua. D is from Antioch. If A enters Ithaqua to attack B and C defends them. A would very likely lose an issue if he went and attacked C later; you can't attack someone for defending their home. If A enters Ithaqua to attack D and B defends them. A would, again, lose an issue if he went and attacked B later. See above reasoning. What's different is if A enters Ithaqua to attack B and D defends them. D would lose an issue if A went and attacked them later. You're not allowed to attack people for defending their home, but you're allowed to attack people who aren't citizens, if they try to help. It's a similar thing for Sects. A is from Flame. B, C are from Hollow. D is from Conquest. If A defiles a Hollow shrine, and B+C come to defend it, A doesn't get to kill them later for defending. A is the instigator, B+C are defending their Sect's stuff. If A defiles a Conquest shrine, and B+D come to defend it, A does get to kill B later for defending. There's no 'ally' clause in Imperian; if you're not a part of the Sect, you don't defend their shrines. If you do, then know it comes with the possibility of you dying later for it. Finally, it also applies to things like bounties and the like. To reiterate, there is no 'ally' clause. If Owyn jumps Hyperionus for a bounty, and Dagobert defends, then Dagobert willingly put himself into a conflict he had no business being in so should expect to die later to Owyn. Let's say I defend someone being attacked. How long in terms of real life days does the attacker have to kill me? Anyone know the answer to this? A) Person being defended is a champion. I'll give you a few scenarios. Lartus, I go after Ryse, a Champion and you defend him, but I kill him, and I don't die. I wouldn't continue to pursue you for long, if at all. This happened a day or two ago and I didn't follow up at all. Now Lartus, if I am fighting Mathiaus and 6 of you come to his assistance (like a few days before the Ryse incident), and kill me, then I'm going to, and did, find you and attack you the next time I see you log in(because as Kalynthari said, you got in a fight you had no business in). Would it be forever any time I see you? No, but I'd think it would be easier to just fight and/or die than just not log in for a week. Hyperionus, you are another great example. I came into Antioch after you and someone vortexed me into guards in Antioch from inside the city. That person used "city defense" as the reason for issuing me for a "bad kill." It may seem to some, especially if the story gets told in such a way, that I broke the rules, but what that person failed to include in that story is that they'd vortex me into city guards (from outside of the city) within the past week and killed me, and also killed several of my plagues. They also didn't mention they were curing Phaith's afflictions just a a few days before the issue, when I was attacking her for a champion or a bounty (I forget which). Some people want to use technicalities to avoid PvP that is not in their favor. If you are playing a role, and you attack someone for ANY reason I don't see how your character can rationally feel like he or she doesn't deserve to be attacked back. If you step outside and punch somebody in the face, do you think you can pray to your religious figure and ask if that person is still allowed to be upset about it or to what degree they are allowed to be upset? Try it. Of course there are some guidelines to prevent PvP for no RP/reason, and the imms clearly make shardfalls, etc. safe PvP encounters where neither party can follow up because of that. However IMHO if you want to avoid PvP you shouldn't do ANY PvP, not during shardfalls, not caravans, not city defense, nothing. Of course you can PVP doing all of those things, and it would be against the rules to hunt you down for it. Still in my head, I don't see how you can get involved in PvP (and get kills!) in any capacity and then play the victim when someone gets revenge or claim to be RPing if you make OOC complaints about in character happenings. So is one real life week the cutoff amount of time? Has an admin told you this is the case? Deleted some posts that either were personal attacks, were deliberately bating them, or were right on the verge. Don't make me do it again. I've found the vast majority of Imperian residents to be lovely, helpful, and good-natured. Whether murdering me or murdering with me, there's a general pleasantness among most players that I really enjoy, and with a relatively small user-base this mutual respect serves to foster an atmosphere of (mostly) friendly rivalry between the cities. Unfortunately, some individuals choose to pursue more antagonistic means of communication, creating a caustic negativity that can lead to decreased player retention. Fortunately, the system of snubbing exists to exclude unwelcome communication, and I've been fortunate that I've only really had to snub one individual in this system after several months of playing. It isn't out of spite, or out of childishness, or any other "retaliatory" motivation...but instead a respectful and considerate decision to exclude myself from communication that lessens the enjoyment of the game for me. By presenting my own reason for muting/snubbing, I hope to impart additional perspectives for those of us who use the system, instead of any sort of misunderstanding for such actions. @Lartus Thanks for asking the question! It's something I've wondered myself. I know that hard rules are generally avoided, but admin obviously have guidelines for deciding how to rule issues, so if there is some sort of line they draw of "X days", it is good to know and can hopefully prevent some issues before they happen. @Javon Thanks for your perspective! When I opened the post I was largely looking for someone to point me to previous posts or rulings from admin that could be referenced, like Arce did in the first reply. If you have any that support your view on city defense leading to free PK cause, would you mind pointing me towards them? administrators for breaking this obvious rule. The bolded part is what I wonder about the most in regards to revenge pk. There goes that whole 'week' thing someone was blabbing about. It would probably be more helpful if some people payed more attention to the game instead of forums as well. All the more reason why I say pk rules here are just dumb, disorganized and too much of a grey area unlike the other IRE games where it it is clear, obviously available and concise. @Javon what is up with that formatting? It looks really awful. Not insulting you or anything, just saying that whatever you did made your post look really bad. If we could get a clear cut set of rules instead of just what appear more as 'guidelines' than anything else I'm sure that things would be better. However, I don't see that happening any time soon. You guys are missing the obvious and it is glaring directly in your face. All of this subbing and what not, 2 imms have responded yet neither of them have given you a time limit to get out of PvP. Why do you guys think that is? @Hyperionus @Lartus @Naxxremis any thoughts? Let me offer my theory. They aren't looking to create a culture of cheesy PvP where you can gank people then just hide in town for a day or two before their chance to kill you expires. They may also not want to be inundated with PvP issues that you guys either started or brought upon yourselves/friends as champions, etc. In terms of RP hard deadlines on things like revenge don't make any sense. Just some guesses though. Also @Naxxremis things would be better for who? We are having an awesome time over here in Magick faction. I can't exactly reply to that last bit without upsetting someone who has already gotten on to us for being rude, @Javon, so I have to decline answering that here. I do apologize for that, it's just without stating some things it's hard to make the explanation crystal clear. One thing I do like, it isn't a rule specifically, but it's mentioned in HELP PK on Achaea. It's the Infamous system they have (I know it probably won't be brought over here since I don't believe there are too many admins/coders working on Imperian at the moment. I could be wrong though!). I mean, it's not perfect, but it does make it a bit easier to see who is open PK for whatever reason. I feel like making it clear how long someone has to 'get revenge' or whatever reason they deem fit to fall into the whole 'cause' reasoning behind killing someone should be made clear as well. a few RL days doesn't exactly say a whole lot. What could be like 2 or 3 days to some people, could be a week to others. It's kind of confusing and having one of you guys @Dec just flat out say in the rules 'You have this long to kill someone after x reason' would clear a lot of that up. Mainly because I feel that trying to kill someone for a week for calling you an idiot is a bit overkill. When I have time I will go and look at the other rules from other games and compile a list of the ones I personally like (so they won't be perfect!). Honestly, I'm sure a few of us could put a few ideas to help create a system to put into play for specific things (like shard falls and changing leylines) to make things a bit more clear. Namely so we don't have one person running around griefing others because he changed a leyline and claim he was dueling someone there. If a person came back after like a 2-year hiatus and the person was someone I upset, I would probably give them a little sheet if they immediately came to attack me, but I wouldn't issue. The whole 'oh you'll get over it in a few months!' rule always seemed ehhhh to me. I like some compartmentalization as a way to encourage participation, but that's basically org conflicts and defending while in a city/towne, a mi. There's enough of that so that you'll get your revenge shot if someone participates regularly, and if not then the other side has fewer people so you come out ahead anyway. The only 'clarification' there that I've ever wanted is a miasma/aura if you have droppable shards on you. Champ stuff is Open PK World stuff. Don't get involved if you don't want to deal with retribution PK. You asked a very important question, and you're best served by an outline of the problem with potential solutions. "User Stories", if you will. As admins and developers, you guys exist in the solution space, and it's very difficult to derive actionable information with generic complaints. -User Story: As a "general/casual" player, I would like a structured and non-punitive PK environment so that I may participate without constant grief. Problem Definition: Imperian is not an evenly matched PVP gaming environment. Between artifacts, monolith powers, promo items...you end up with a sandbox with very severe power disparities. Rocket launchers vs squirt guns, you could say. In a perfectly matched environment, time-in-game and microtransactions would provide visual customization, flexibility, and possibly a swing of ~10% or so for additional edge in combat. That isn't the case, though. We've run pretty extensive tests, and the power differential is severe enough that a lightly artied aspect damage-focused class cannot damage down a heavily artied, equal level squishy class whilst the heavily-artied individual does nothing but stand there and passively heals. That's fine. This is a practice spread across most IRE games, and we understand that this might even be the design intention...to provide a huge, nearly insurmountable mechanical advantage to characters with more time/money invested in the game. 1. Grouping. If you're not a heavily-artied player, then you stay in groups and avoid engaging solo. 2. Avoidance. The PVP imbalance is enough to encourage players to avoid PVP altogether. 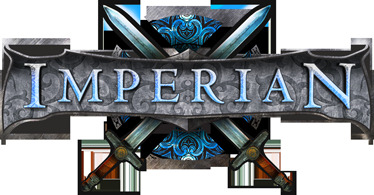 With "Intense PVP Combat" as the first advertised feature on Imperian.com, I assume option 2 is NOT the design intention. The game designers and corporate WANT people to engage in PVP, so a system that pushes people to option 2 should be avoided at all cost. We players WANT people to engage in PVP to create a full, active game experience. So let's move on to Goals/Solutions. Goal: How could PK be structured to encourage participation in PVP from all power levels? -Notes: Nerfing "arti-whales" will anger the most loyal/active users and fundamentally shift the game. Definitely falls under "high risk appetite" and should be avoided. Do note that I am NOT an "arti-whale", and after 40ish days of playtime I still only possess about 4 level 1 artifacts at level 103. 1. Do not punish group defensive actions. If a group of players are hanging around their local area, and a nearby group needs to form to deal with a single player...there shouldn't be "vengeance tokens" on those who are literally defending a local teammate. If we keep the mechanical imbalance, then the assumption of "Let me Gank 1v1 or Else be Ganked" only benefits the mechanically imbalanced. Do the game designers really want to encourage scenarios where citymates sit near their city, silently, while a citymate is ganked? "Welp, I don't wanna be harassed for the next week, so I better just let them murder my friend". 2. Remove "revenge PK" entirely. No one is entitled to a "payback PK", and instead use some sort of "notoriety" or "aggression" flag. If someone validly engages another and wins, move on. If someone engages another and gets fought off from a team, move on. 3. "Retire Value" (or another metric) as a driver of structure. This is more mechanically complicated, but the higher someone's "artifact weight/retirement value", the more restrictions should be placed on them. What we don't want is "roving bands of mechanically imbalanced gank squads" as a counter to "defensive bands of low-end players". You want new blood, new players, "lowbies" experimenting in the game without having their experience crushed by powerful high-end players. I've only been around for a few months, and so am likely missing some truly elegant solutions to this problem. These are just basic observations I've posted to contribute to the ongoing discussion. I don't think any of us started this conversation in order to get some hard pk rules whipped up. Lartus asked for some input on what would always, regardless of pk reason, prove to be "too long" for an issue. Only one poster has asked for a clear cut set of rules; in general, I think we all agree that everything is working pretty well as it stands, apart from the occasional rough patch. Ryse's points about the entire system heavily favouring people that have poured money into the game are pretty accurate, but IRE games are intended to make money, at the very least to ensure their own survival and to support the people creating them. There's another place he hit the nail on the head, too - if several low-arti people band together to defend someone against a heavily-artied whale like Javon or Pellerin (I mention these two because they've both been involved in a situation similar to this within the past month), they're basically signing their death warrants next time they decide to hunt by themselves. This isn't as bad as it sounds, though, since there aren't any death penalties; it was never enough to discourage me (the guy playing an Engineer...) from engaging in any sort of PvP aside from champing. That is a pretty good mentality to encourage - playing the PK game doesn't cost me anything, so I don't mind giving it a try. This comes back to my original reason for this thread... Some of the newer players have been hunted down while alone for doing nothing more than defend their city against trespassers; while most of them don't seem to care because there's no death penalty, those of us who have been around a little longer have gotten used to the game's generally friendly atmosphere and tend to see this as griefing. Whether it is or not, I don't really know - we've heard both sides of the argument here, and they both make compelling cases. While the obvious solution is to just get the tutor back, the general rule of thumb right now is that if you didn't have the population to defend your tutor, you won't stand a chance of getting them back. This goes doubly when Kinsarmar boasts most of the heavily-artied aspects active in the game, is the only city actively raiding, and they can (and have) just kill the imprisoned tutor at the start of the raid to make sure it's unsuccessful. To also answer the question, Dec I love game rules where players govern themselves. Where imms aren't required to scoop up after everyone or coddle anyone who is upset. I think RP is the most important thing though when considering PvP rules. I have killed a demoner before for being a champion, and them actually come to my room and call me names a few times to my face then threaten to issue if I kill them for it. That is terrible rp! I think rules should be more towards enforcing RP rules than enforcing PvP rules. I'm glad to see there is some discussion around this, as this has been my frustration since the stupid Flame War that I tried to enjoy for the most part, which in all is the lack of clarity around pk instances. Don't get me wrong, I love pk and I encourage it-but at the same time there need to be perimeters and the unnecessary griefing and pettiness just need to stop. As far as I can tell the only example where the rules are clear is when you are a champion into which, you are basically just open game for any reason at any time and anywhere. Which is fine and inexcusable to not know that via the help file or someone telling you that. However, non-champs that defend their champ(s) from other champ(s) can and will cause open-ended altercations-such as the aforementioned revenge pk and its inability to be clarified. With the tutors, I don't think future novices should be part of the punishment for raids that involve taking tutors. I understand hey that, you have a dominant pk scenery in x circle-who cares really. Though I think a fix to the tutor issue would be to have it reset after x amount of time to which time=IG year(s). That way I think it can satisfy both aspects of novices needing to use tutor without me having to redirect them to Caanae and likely have to explain reasons why there's no tutor (which I have been asked a few times). Also, it would possibly give the raiding city/council a means of doing it again for productivity. It would even help to give the tutor some immunity for some ig years after to avoid raid abuse as I would call it. I pretty much stopped caring about pk when more people wanted to flaunt pk rules. "Such and such was issued in 2007 and set a precedent" doesn't help people who started playing in 2017, and really, the game devolved into people looking for excuses to be dicks to each other. Add in how stupid some of the rules are (like the fact that there's a difference between "attacking a caravan" and "harvesting a caravan") and I very quickly reached a stage of wondering why I was bothering. .
Bountying people for defending an allied org in a raid, even if it's allowed in the rules, construes as griefing imo. Not every org can mount a defense by themselves, and "you aren't a citizen of the org I attacked so I'm gonna bounty you" is a form of punishment. Guess what punishments do? They discourage behavior, and if there isn't too much pk going on, it's not surprising to me. Bountying people for defense of raids- allied or otherwise- seems like it's skirting the rules a bit. Kill people an hour or two later if they defended a raid on a city they aren't a member of, but bountying for it sounds like a definite no-no. Can't imagine anything's gonna get done about it, though. My biggest beef with PK rules has always been that they are very much intentionally vague. At least in Achaea and Imperian. It's really daunting to anyone who isn't totally immersed in PK, with strong mentors surrounding them. Not even just that. You need access to people who get issued, period. You either need to get issued, or know people who do, and you need to know the details of their issues, how they defended themselves, what was admin's response? or you won't know which way the wind blows. It's still something that doesn't sit well with me. It means that a core PK crowd always understands issues better than anyone, and they're the ONLY people who probably really understand issues. I still don't like that. Meh. Anyway, you can always bounty/hunt down defenders who aren't part of the city/council that you raided. Actual city/council members who are defending their own home are pretty solidly protected from all of that. The only exception would be if say, you hurled insults at the raiders - then they can go after you for that, but not for defending your home. I realize not everyone may like that, but that's how that one works. As well, you do NOT get such protections for defending your (own) sect. It only applies to defending your home. It took me a long time to get a decent grasp of how PK rules work, but it's not all exact science, and as noted, part of it is just knowing what decisions have been made in the past, and more recently (which very few people know in aggregate). But in general, if a guy technically -can- push the envelope, but values his high dollar character, he won't push it as far as he "technically" might be able to get away with. Because you can "technically" get away with murder if you are a clever person who can make good arguments. At the end of the day, it's really the ambiguity that gets under my skin, and under the skin of people like me. Even the biggest baddies in this game usually don't do anything too, too terrible to you PK-wise (because they largely can't). You should generally be much, much more scared of someone who was intent on making org life miserable or something. But again, the ambiguity makes it feel scarier. EDIT: a good rule of thumb for "taking vengeance" from the perspective of the person who is hunting someone down is 2 RL days. That is the very -safe- window. I do think admin intentionally allows at least some wiggle room there because of "I will just log out" or "I will just linger somewhere you can't go" for x time. Frustrating, but hey, they're not just going about their merry way, either. On a different, but related note - please stop using the 'Death doesn't cost anything' as a reason to have no rules. Some people just don't like dying. Just because it doesn't cost any exp or gold or colours of the rainbow, doesn't mean it's not annoying/frustrating. You want people to come play your game, stop doing things to make them hate logging in. The PK system in Imperian is just one reason people go 'Meh'. @Altheia and others. Please stop acting like your opinion is the end all be all. It isn't. There are plenty of people I can name who log in largely for the PK system. Just because YOU don't like it, YOU don't have to participate in it. @Javon Please take your own advice. Just because YOU like it, doesn't mean other people can't dislike it, make comments on it, or even suggest reasons to change how it currently is.